Goldman Sachs on Tuesday reported third-quarter earnings that easily beat on the top and bottom lines, helped by strong gains in trading revenue. Shares spiked more than 1.5 percent in premarket trade. The investment bank posted quarterly earnings of $4.88 a share on revenue of $8.17 billion, up from $6.86 billion in revenue in the quarter last year. Bottom-line profit surged 58 percent. 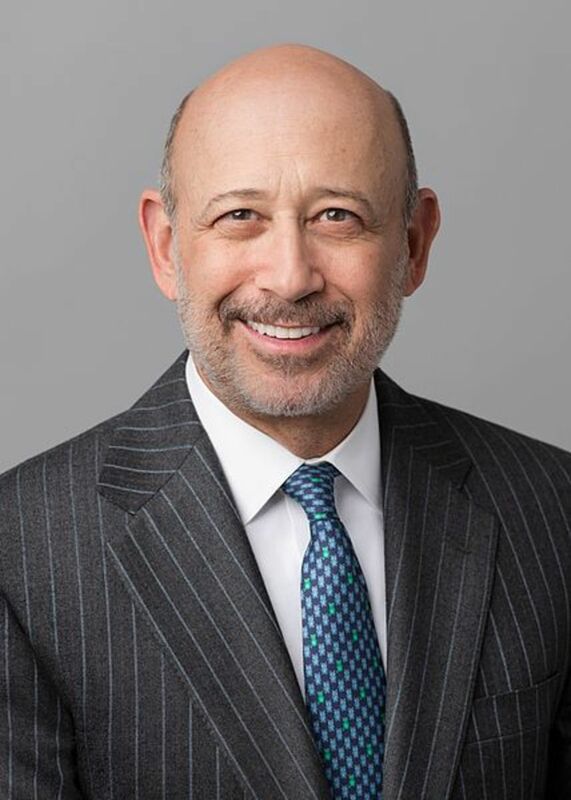 Analysts had expected Goldman Sachs to report third-quarter earnings per share of $3.82 on revenue of $7.42 billion, according to a consensus estimate from Thomson Reuters. But while some of Mrs. Clinton’s detractors spread the view that she is bought and paid for by Wall Street, the WikiLeaks documents point to a slightly different dynamic. Readers may want to take a closer look not at Mrs. Clinton’s speech transcripts — in which she does say a lot of what her audience presumably wanted to hear — but to the remarkably telling back-and-forth of emails among her staff members during the campaign. While the full record suggests that Mrs. Clinton may be a pragmatist, the emails sent by her staff hint that she may be inclined to impose heavier regulations on the financial industry than is fully understood. New York state has paid hedge fund managers $1 billion in fees during the past eight years with little to show for it, officials charged on Monday. In a blistering report that criticized both the $2.9 trillion hedge fund industry and New York Comptroller&apos;s Thomas DiNapoli&apos;s office, the New York State Department of Financial Services said pension investments in hedge funds have been a giant failure, resulting in $2.8 billion in underperformance for the two state retirement systems. "The state pension system simply gave away tens or even hundreds of millions of dollars in fees every year for 10 years to hedge fund managers, and received no value in return," the department said in a report. A Florida woman accused of robbing a bank may have gotten her father involved in a crime without him knowing. Chelsea Wilson was arrested Friday morning after she allegedly robbed a TD Bank in Fort Lauderdale on Thursday afternoon. Police said Wilson’s father told them he drove her to the bank because she told him she was going to a job interview, according to the Florida Sun-Sentinel. Sometime between leaving the car and going to the “job interview,” the 24-year-old suspect covered her blonde locks with a red wig and hat and put on sunglasses, according to a complaint obtained by Local10.com. Wilson allegedly entered the bank shortly before 4 p.m. and handed the teller a handwritten note demanding money...Wilson made off with $300 and exited the bank parking lot in an SUV that FBI agents later determined was registered to her father. Wilson’s father said he thought the cash his daughter had was an advance, according to authorities. ...when Mr. Hall set out last year to stage an exhibition of Golub’s art at the private rural museum he operates in this small village, he found out to his surprise that more than a third of the Golubs he had bought were forgeries, according to a lawsuit he filed last month. And the people he says hoodwinked him were two unlikely adversaries: a 68-year-old art history professor at a small college just two hours down the road and her 34-year-old son. Now, the professor and her son seem to have disappeared, and Mr. Hall is looking for the $676,250 he spent on the paintings, according to court records and the professor’s former colleagues. ...the nation’s labor board has challenged some provisions in the contracts that Bridgewater Associates, the world’s biggest hedge fund firm, requires each full-time employee to sign. The unusual action is calling into question longstanding practices and prompting some companies to re-examine their employment agreements. Prompted by a sexual harassment complaint by a former Bridgewater employee, the National Labor Relations Board filed a pending administrative action against the firm this summer saying Bridgewater “has been interfering with, restraining and coercing” employees from exercising their rights. The former Bridgewater employee, Christopher Tarui, claimed that he was the victim of sexual harassment by a male supervisor and that the hedge fund had retaliated against him when he complained. Despite what CEO Larry Fink conceded was a difficult market for investors, who moved to generally lower-fee bond investments and index funds, BlackRock&apos;s "long-term" products absorbed $55.1 billion in cash, up from $35 billion a year earlier. The company&apos;s assets under management grew to over $5 trillion. That helped net income rise 3.8 percent to $875 million, or $5.26 per share, in the third quarter ended Sept. 30 from $843 million, or $5.00 per share, a year earlier. Firefighters in Arizona shared photos from the rescue of a 26-year-old man who was trapped for four hours in his own chimney. The Tucson Fire Department said in a Facebook post crews responded to a University area home Sunday morning after a neighbor reported hearing a man shouting for help. Firefighters found the man&apos;s feet were touching the floor of his house, but his body was wedged in the fireplace due to its decreased diameter toward the bottom. MF Global's Top Lawyer Will Break Her Silence (NYT) MF Global’s top lawyer is to break her five-month silence on today to tell Congress that she was unaware of a gaping shortfall in customer money until hours before the brokerage firm filed for bankruptcy on Oct. 31. Laurie Ferber, MF Global’s general counsel, is expected to tell a House panel that she “had no reason to believe” that the firm had raided customer accounts to meet its own obligations, according to a copy of her prepared testimony. While Ms. Ferber learned of a shortfall in customer money in the afternoon of Oct. 30, she said she believed it to be an accounting error. BATS Weighs Futures Steps (WSJ) BATS's markets functioned normally Monday, though the company ceded a little trading volume to rival U.S. exchanges. Some market participants privately expressed support for the company's leader. Separately, federal regulators indicated they were preliminarily viewing the IPO mishap as something of an isolated incident. Chairman and chief executive Joe Ratterman said two topics the board likely will discuss are potentially reviving an IPO and the status of employee bonuses in the wake of Friday's troubles. Over the weekend, BATS founder and board member Dave Cummings said the company should aim for an IPO in the second quarter, which starts next week. Goldman Diaspora Falters as Flamand Hedge Fund Declines (Bloomberg) “In spite of their pedigree, many ex-Goldman prop traders have found it much harder than they originally thought to make money,” said Matias Ringel, the New York-based head of research at EFG Asset Management, which invests in hedge funds. Poor timing led to the slow start for the Goldman Sachs diaspora as the European sovereign-debt crisis and a fragile economic recovery in the U.S. dominated global markets. Yet their failure to generate profits from investments also highlights the differences between trading at a bank, with its extensive research, technology and compliance operations, and running a hedge fund where clients pay top fees and are less tolerant of risk. Hitler Used As Spokesperson For Turkish Shampoo Commercial (IBT) The subtitles, dubbed over a clip of a Hitler speech, read: "If you're not wearing women's clothes, you shouldn't be using women's shampoo. Here it is, a real man's shampoo. Biomen." The commercial..has been met with a lot of outrage. Goldman 'Sacks' (NYP) Sehat Sutardja, 49, and his wife, Weili Dai, who founded chip giant Marvell Technology Group, have found stock certificates and related paperwork showing that Goldman had about 25 million shares of Marvell shares transferred from the family’s personal ownership, under management by Goldman, to the firm, lawyers for the couple claim. The family insisted that they had never approved such a transfer of their stock holdings, which were managed by Goldman’s private client group...The family is expected to file a new claim against Goldman today with Finra, backed by the recently discovered documents...Goldman said it hadn’t seen the new claims, adding that “Goldman Sachs has consistently denied and continues to fight Dr. Sutardja and Ms. Dai’s claims.” Goldman’s Jim O'Neill: Glass 'More Half Full Than Empty' (CNBC) "At the core of it, everybody worries about the next quarter and, linked to it, the volatility of last year is what scared a lot of longer-term investors. It's tough for a lot of pension fund trustees to live through that," O'Neill said. Added to this is the fact that the past decade has been weak for stock markets so "there's a broad anti-equity culture out there," he said, but added that the prospects for stocks are good. "I continue to see the world glass more half full than empty… on the account that the U.S. is on the way back, as it has been for some time." Fed Signals Resolve On Rates (WSJ) Investors tracking the labor market's gains had begun to expect interest rates to start climbing, said Liz Miller, president of Summit Place Financial Advisors. But Mr. Bernanke shifted that view. "What we heard from Ben Bernanke this morning was still a supportive monetary policy commitment, even in the face of improvements in the unemployment rate." Deutsche Bank No. 1 in Europe as Leverage Hits Valuation (Bloomberg) Chief Executive Officer Josef Ackermann, who has called proposals to limit bank size “misguided,” will leave behind a balance sheet about 40 percent larger than in 2006, and more than 80 percent as big as Germany’s economy, when he steps down in May. The firm is the second-most leveraged and third-least capitalized of Europe’s 10 largest banks, even after Ackermann boosted reserves and trimmed dependence on borrowed money. Carnegie Deli creates monster Tim Tebow-inspired sandwich (NYP) The famed Carnegie Deli has introduced the "Jetbow" in honor of new Jets backup quarterback, Tim Tebow -- a 3.5-pound monstrosity containing corned beef, pastrami, roast beef, American cheese, lettuce and tomato on white bread...The deli has other sandwich creations that honor celebrities, such as "The Woody Allen," and "The Melo," named after Knicks star Carmelo Anthony. But it is the first time the restaurant will be using white bread and mayonnaise in a sandwich created for a celebrity, instead of the traditional rye bread and mustard. The sandwich will cost $22.22 and was released on the same day Tebow held his first news conference in the Jets' field house.